Oshiro Dojo, in San Mateo, California, is the world headquarters (honbu) of the Ryukyu Bujutsu Kenkyu Doyukai (RBKD), an international organization dedicated to the study and development of traditional Okinawan martial arts. RBKD Chief Instructor (Shihan) Toshihiro Oshiro is a native of Okinawa. He has taught karate and kobujutsu in the San Francisco Bay area since 1978. 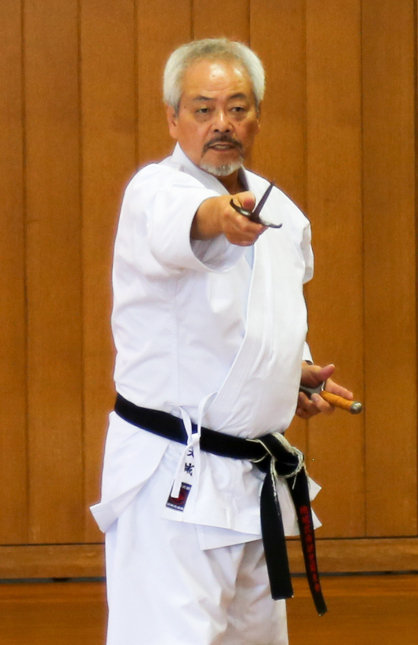 Shihan Oshiro is a widely recognized authority on the history and techniques of traditional Okinawan martial arts. 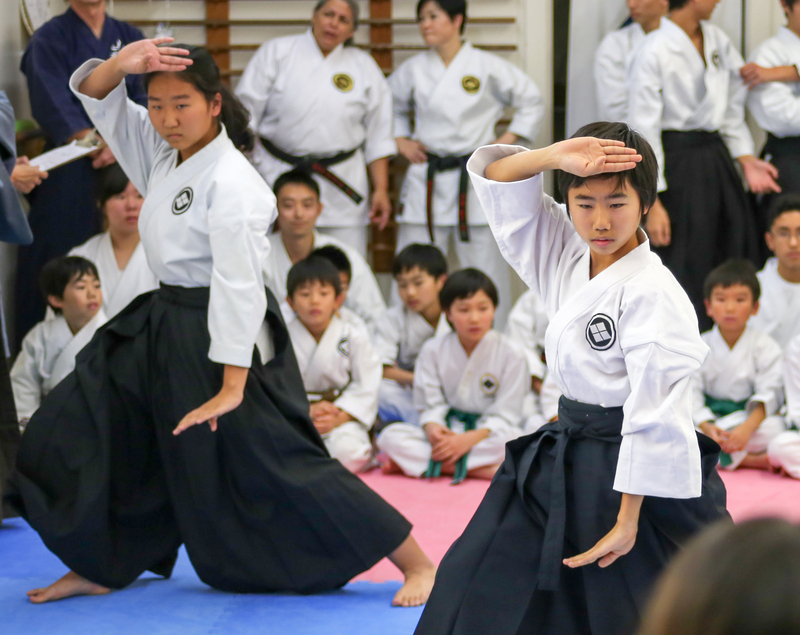 Oshiro Dojo teaches the Shima-Ha Shorin-ryu style of Okinawan karate and the Yamanni-ryu style of kobudo (weapons) in a friendly, non-competitive environment. Karate and kobudo are not only great for developing coordination, physical fitness and self-confidence, but they are also fun, challenging, and fascinating. A typical class focuses on either kata (forms) or kumite (sparring). 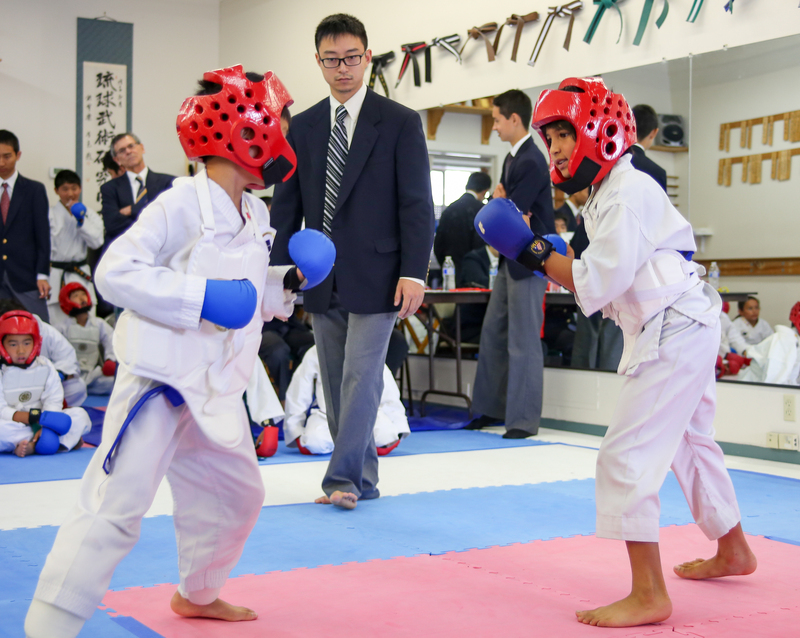 Kata practice helps develop physical technique and body awareness, while kumite helps students learn confidence versus an opponent, timing, and interpersonal awareness. Oshiro Dojo classes are taught by experienced instructors who have decades of experience practicing and teaching martial arts. Classes are offered at beginner and advanced levels for adults and children ages 5 and up. We encourage you to visit the dojo during class hours to see what we have to offer.